I’m looking forward to the joy of teaching art in our community! 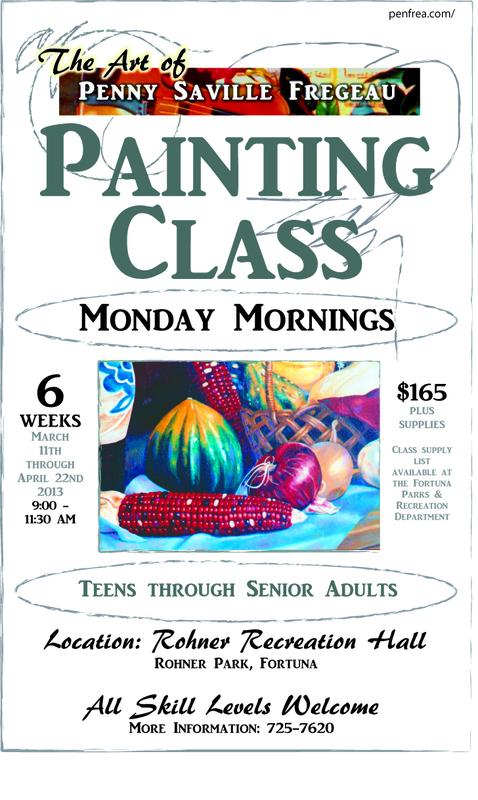 This class will be on Monday mornings at the Rohner Recreation Hall at Rohner Park in Fortuna, California. We will be exploring how to paint pictures of a world filled with glorious color and light by using acrylics on canvas. Sign ups are at the Park and Recreation office.